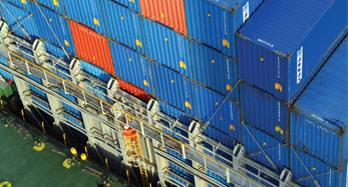 Sale, leasing, maintenance and service of marine containers and pre-fabricated mobile units. TEU Conservices was founded in 1978 to offer services and storage facilities to marine freight containers transiting through the port of Limassol, the number of which was rapidly increased after 1974. In 1998 the company was fully acquired by Caramondani Bros Ltd.
TEU Conservices specializes in the sale, leasing, inspection, maintenance and service of marine containers, including Reefer and Dry units, as well as marine container conversions for general use. 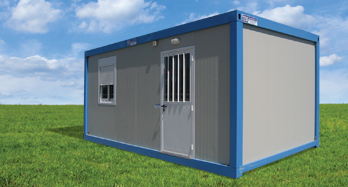 Since 1983, TEU Conservices has also been manufacturing high quality pre-fabricated mobile units, made out of insulated and/or fireproof panels, used as houses, offices, workshops, etc. It specialises in the production and/or assembly, testing, installation, maintenance and trading of prefabricated mobile houses and metal structures. 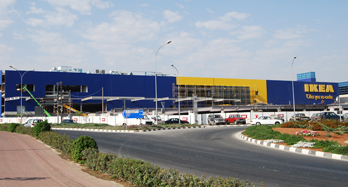 Through constant development and evolvement, the company became the market leader in this area. In 1999 TEU Conservices started supplying the market with portable chemical toilets for temporary use and in 2000 it became the representative of Metecno S.p.A. in Cyprus, one of the biggest manufacturers of insulated panels in Europe. Furthermore, some other products offered by the company are the sale of insulated polyurethane, rockwool, polycarbonate panels and mini kitchen units, as well as specialised grit/shot blast abiding by Swedish standards 2.5 Subertres for internal and external coverings. In 2003 TEU Conservices received the prestigious ‘‘Top Performer Award for Europe, Northern Africa and Middle East’’ by Carrier Transicold, the world leader in heating, air-conditioning and refrigeration solutions. Remaining committed to offering high quality products and services, in 2004 the company has acquired the internationally acknowledged certification BS EN ISO 9001:2008, by Lloyds Register Quality Assurance, which covers the entire range of the company’s activities. TEU Conservices was also appointed as an approved service and supplier center for reefer container equipment and parts by Carrier Transicold, Daikin, Thermoking, Mitsubishi Heavy Industries and Starcool. Today the company owns some of the most modern facilities and state of the art infrastructure (in accordance to the EU Laws and Regulations) in the eastern Mediterranean, for the repair and refurbishment of containers. Its owned premises at Ypsonas, near the Port of Limassol, comprise a total area of 34ha, of which 3.600m2 form a covered workshop and 28.000m2 are used for repair and storage. Also the company runs two workshops inside the Port of Limassol which offer various services to marine and reefer containers. All products and services are provided by highly qualified, fully competent and well trained personnel. TEU Conservices – in close cooperation with Caramondani Bros Ltd – has managed to secure and successfully implement public and private sector’s contracts and is now a leader in its field in the Middle East region. Some of the biggest clients of the company are the Ministry of Education, Ministry of Agriculture, Public Works department, Cyta, EAC, Iacovou Brothers ltd, Cybarco Ltd, Caramondani Bros, Junior School, SMC Joint Venture, GAP Vassilopoulos Ltd, G.M. Solon Services Ltd, K.V. Imperial LTD, BWSC Ltd, UNFICYP, KYTHOROMAK ASPHALT LTD, EDT SHIP MANAGEMENT LTD, Medkoi Ltd, Medserv Cyprus ltd, ENI of Italy, Haliburton Ltd, Panaretos Estates and many more. One of the main targets of the company is to maintain and continually improve the existing quality standards, as these are set by the Lloyds Register. The Management is fully committed in providing products and services of the highest quality, always in a manner that will satisfy all customers’ requirements.